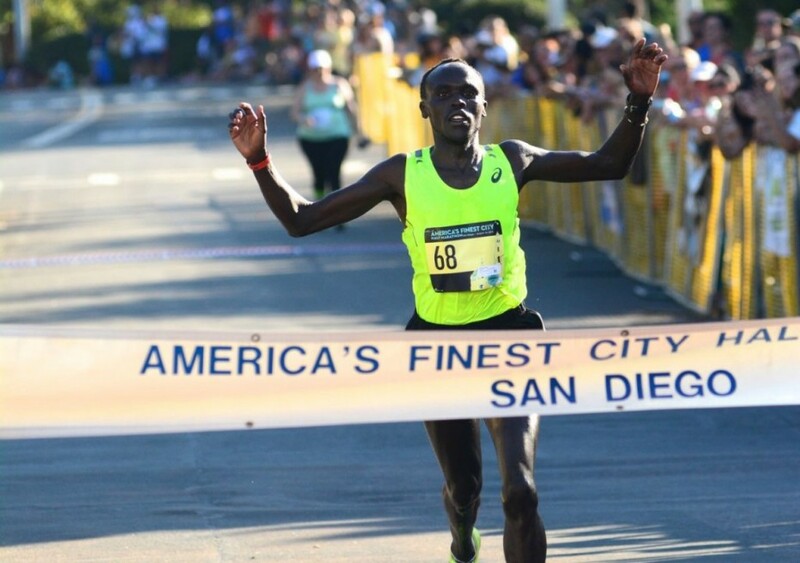 America's Finest City Half Marathon is run on a fast, scenic, point-to-point course. 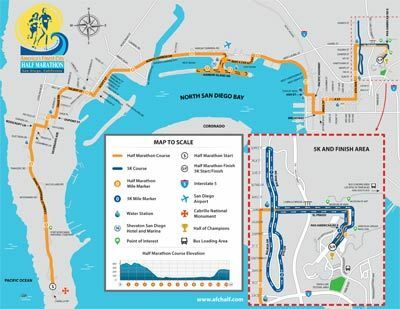 The race starts at the historic Cabrillo National Monument at the tip of Point Loma with its world-renowned vistas of San Diego Bay and the Pacific Ocean, follows scenic San Diego Bay and Harbor Island along the Embarcadero to the Star of India, winds through downtown San Diego and finishes in beautiful Balboa Park. 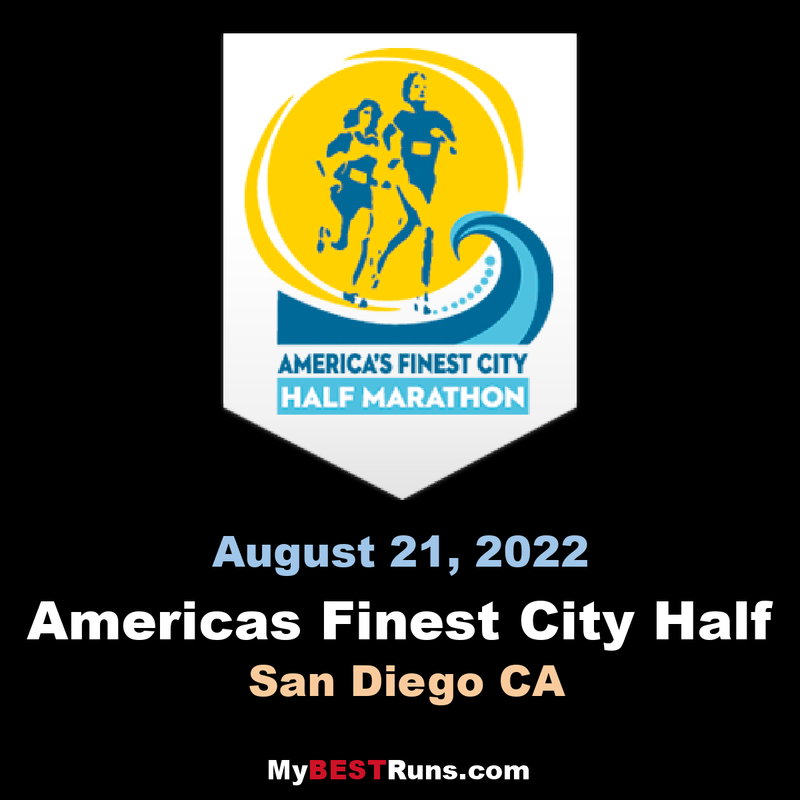 In 1978, as the original running boom was about to take off, then San Diego Mayor Pete Wilson thought that it would be a good idea to have a running event as a part of the “America’s Finest City Week” celebration, which took place each August. The annual AFC Week began in 1972 after the Republican Party pulled its Convention from San Diego and moved it to Miami. The event is now owned by Neil Finn Sports Management, managed by In Motion Inc., and benefits the Cabrillo National Monument Foundation, Pancreatic Cancer Action Network, and the Spreckels Organ Society.